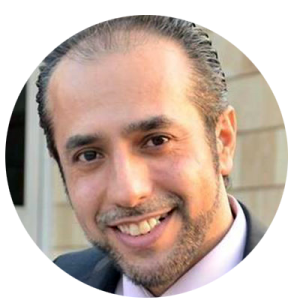 “Difficult things need time, impossible things a bit more!” This was Mr. Abdulsalam Medeni’s Skype status on the day we spoke, and it encapsulates the depth of the challenges before him, and the heights of his dogged optimism in facing them. 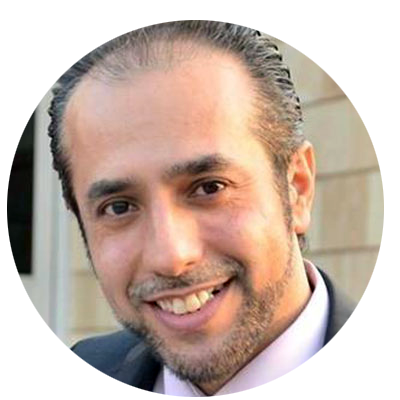 Following an already accomplished career in international NGOs, government, and media, Mr. Medeni—also known as Salam M. Islam—is currently the CEO of Rwanga Foundation, a civil society organization founded in 2013 in the Kurdistan Region of Iraq (KRI). What is your background, and how did you come to lead the Rwanga Foundation? I’m a civil engineer by profession, and as a student I attended the College of Civil Engineering. But in the first year of college, my ambitions changed; instead of building concrete structures, I wanted to contribute to building a better society by working closely with people. When I completed my studies in 1998, I began to work with local NGOs. 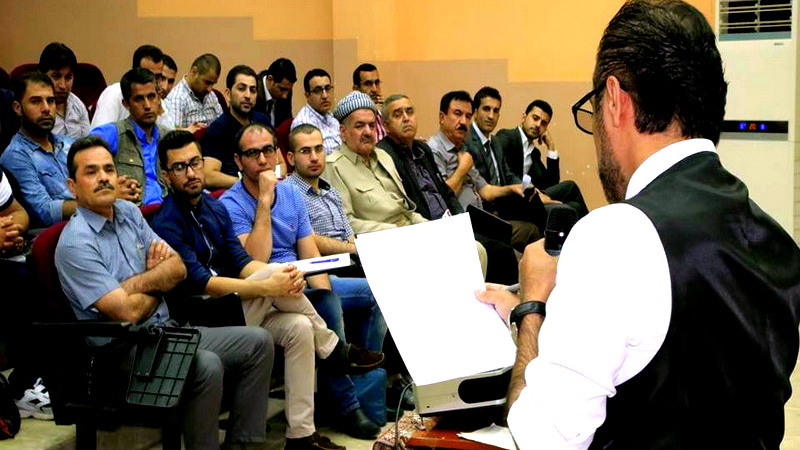 Then, after the liberation of Iraq and the fall of the Baath regime in 2003, I spent several years working with international NGOs (INGOs), both inside and outside Iraq. However, my vision was to support a longer-term change in civil society in the Middle East. I wanted to do the change from the other side too, which is the government. So, when I returned to Iraq around the middle of 2012, I joined the Kurdistan Regional Government (KRG), in a newly formed Department of Coordination and Follow Up. At that time, it was headed up by Qubad Talabani, who is now the Deputy Prime Minister. I also served as an Advisor to the KRG Deputy Prime Minister on Civil Society and Youth Issues. Since I had been on both sides—the civil society and the public sector—I hoped to build bridges between them. Eventually, with the bureaucracy, downturn in oil prices, and the ISIS attacks, I didn’t see that I could fulfill this long-term vision within the government. So, when Rwanga Foundation emerged as a newly established with a long-term vision, it touched my heart and my mind too. When the offer was made for me to become the CEO of this organization, I accepted it with no hesitation. Tell us a little bit about Rwanga. Who started it? What does Rwanga mean, and what does it focus on? The idea came originally from Idiris Nechirvan Barzani, who proposed founding Rwanga and laid the cornerstone of the foundation with a group of professional colleagues. The intention behind establishing Rwanga was for the people of Kurdistan to participate in the global issues and “pay back” something to the international community in return—because the international community served us a lot. 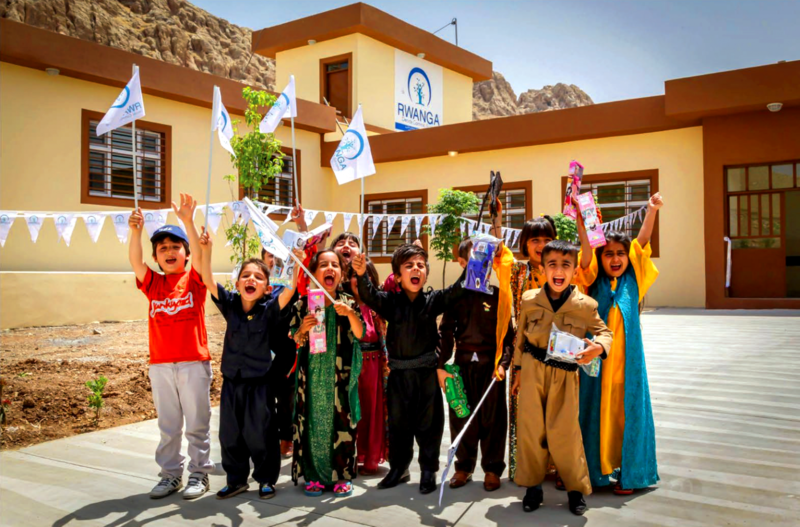 Rwanga was envisioned to be the first international organization headquartered in Kurdistan with a global vision, committed to crossing the borders to support the people in need in other parts of the world. Rwanga is a Kurdish word which means “vision.” The foundation has three main strategic approaches: to provide direct services; to build capacities for teachers, school or education administrations, and students; and to design policies. The two sectors we focus on are education and youth. Especially now in the youth sector, our main focus is employment and preparing young people for the open market. Even though, realistically, our economy is heading toward an open market, we still operate on the social type of economy established by the Baathist regime. Today, there is no clear vision for our economy. We are not adequately preparing our young generation for the market, for the private sector. This is why almost all the new graduates and young people depend on the government for employment. They are under the perception—which is rather the illusion—that we are a rich country, the government is rich, and the government should employ all of us in the public sector. In fact, this is fatal in the long run. We need to raise awareness, build capacity, and provide capacity-building to prepare the new generation for the market and job opportunities in the private sector. In fact, inspired by the “American Dream”, we have the idea for a “Kurdish Dream.” In response to the youth migration, we want to tell the young people that there is an opportunity here for you to make your dreams a reality. There is a possibility for any individual to grow, seek prosperity, and have a success story here. There have been some setbacks due to the security situation and the drop in oil prices. 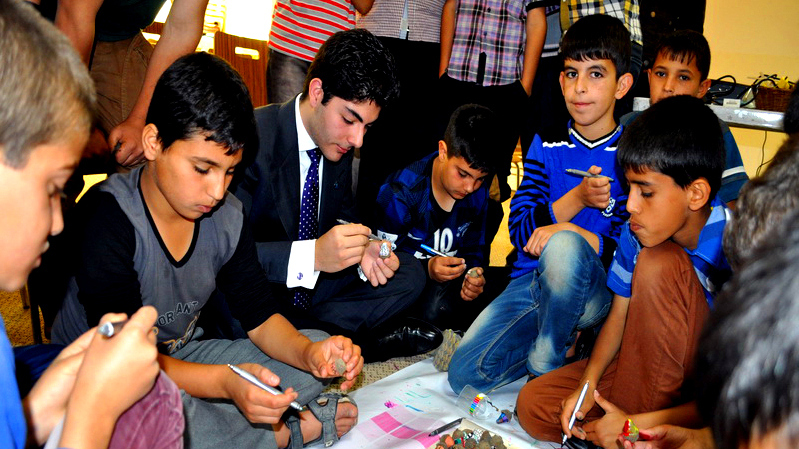 However, preparing the youth and the environment for a “Kurdish Dream” is one of our strategic goals. “Are we going to become a donor-driven organization—just as if a contractor implementing someone else’s goals—or are we going to be a vision-driven organization?” … To respect our values, we need to stay focused. Even with the focus on education and youth, the foundation’s activities cover a wide range of programming—education, sports, job training, refugee housing. How does Rwanga balance and prioritize these needs and avoid mission drift? Rwanga is a newly-established organization— it started in the middle of 2013—and I joined Rwanga a year and a half after that, in April 2015. One of the main issues I worked on was to have a clear identity for Rwanga, and for it not to be the “jack of all trades,” otherwise we might become a master of nothing! We are now in a transitional period toward becoming more focused, and the focuses we are heading to are mainly education and youth. Everything for us now should be around those two main fields. We try direct all our activities to target these two main sectors—education and youth. We are committed to bringing the values of NGO management to the organization, otherwise we will lose legitimacy. It has been a challenge until now for all the civil society organizations and for Rwanga too when dealing with the INGOs, because we are faced with the question: “Are we going to become a donor-driven organization—just as if a contractor implementing someone else’s goals—or are we going to be a vision-driven organization?” I remember discussions with one of those organizations. They were offering us a lot of money, but in fact we said, “We would love to, but sorry, this is not within our mandate.” They said, “This is the first time an organization rejects almost $1 million USD of funds because it’s not within their mandate!” Honestly, some funds might come if you will “wear some different hats” and not stick to your identity. However, we wouldn’t accept that. To respect our values, we need to stay focused. With clear organizational identity, NGOs will complement each other and their response to social gaps will be more effective. For example, recently, we received funds from GIZ (German Agency for International Development Cooperation). They said they had a cash-for-work project. We said we cannot be all over the place—our focus is the young people and education. Instead, we proposed building or renovating schools, which they agreed to. Our projects team were ready with a plan, and they agreed too, so it was great. We will provide young people, IDPs, refugees, and local communities skills and job opportunities within the mandate of education. We wrote the proposal, we got the funds, and we worked. With the INGOs, we try to communicate and negotiate and make the projects respect their mandate and policies, and also ours. With the private sector, in fact it’s easier. We write our sponsorship package, present our proposal, we submit it to them, we talk, and if we succeeded to convince them, they provide the funds directly and we do our job in responding and respecting the sponsorship package—including having their logos, branding, trademarks, etc.—as agreed. How has Rwanga adapted to the political context and conflict situation in the region? It has affected us on two levels: first, the type of programs we have, and second, the manner of operation. We consider ourselves a development organization, not a relief organization. But instead of focusing on projects that will lead to more long-term development, international exchange, and other useful platforms, we are obligated to focus more on conflict management, building bridges between different populations, even building and renovating schools and providing school supplies to students. We thought Iraq had passed the period that there is a student who does not have a pencil to write his homework! It is unfortunate yet it seems we have a lot that don’t have! So now we find ourselves asking for funds to those types of activities. As for the operations, some of the local businesses got affected, so they couldn’t provide the same level of financial support. Some of the INGOs are now more focused on building shelters, camps, and providing relief aid. And often, the places that they want us to go are not easy to work at, because our staff cannot safely reach them. However, we do our best to reach anywhere possible—even Mount Sinjar. A view of the Rwanga Community. ISIS planted a lot of mines in the trust between the different ethnic and religious groups. If political leaders of our societies are not wise enough, what ISIS planted might erupt one day. Despite the difficulties, Rwanga Foundation has accomplished significant work in the humanitarian space. What has the foundation’s work with displaced and refugee populations been like? In fact, one of the major and first activities Rwanga did was to get engaged with IDPs and refugees. The idea, relating it back to education and youth, was if people are hungry and with no shelter, it will be difficult to talk to them about education. 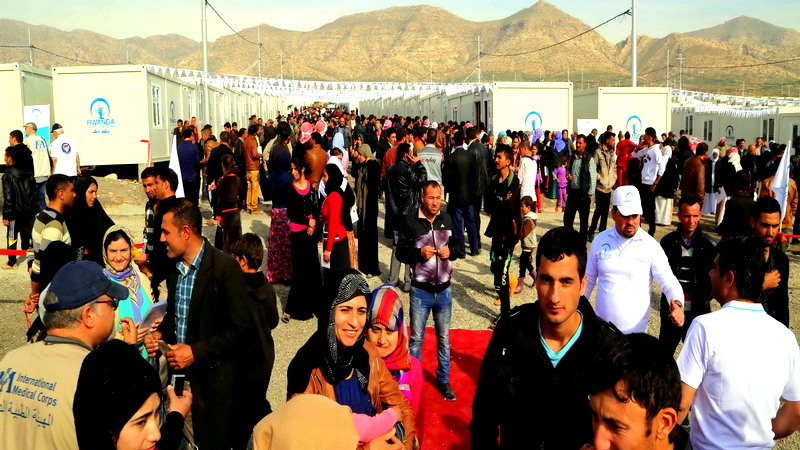 Rwanga was one of the first organizations present on the ground to respond to the needs of the stranded people on Mount Sinjar, and we also took responsibility to build a camp for the IDPs in Duhok, which is called “Rwanga Community.” It has become a model camp as the German Consul General, the UN Representative, and anyone else who visits the camp praises it. It’s not a tented camp, but prefabricated units. The camp has a park, a library, a computer lab, a woman’s center, and a playground with basketball, football, and volleyball fields. We try to convey to IDPs and refugees: It’s unfortunate what you are going through, but life should not stop, life should continue. We don’t know when this tragedy will be over, but we want you to take the opportunity to also learn while you are here, because this will end one day, and you will be ready. That’s why we call it a community, not a camp. One of the most pressing issues for Iraq and its region is peace-building, building understanding across different groups. What social divisions do you see as most threatening to the continued social development of the region? How does Rwanga Foundation address these divisions? In fact, it’s not within our main mandate to work directly on conflict management. But in our organizational culture, we act as role models. We have a gender balance, we have Yazidis, Christians, Muslims—all are accepted. All we focus on is whether someone is skillful enough to be hired, and the staff are evaluated in a transparent process depending on their professional performance. On the political level, I see a lot of other factors, to be honest. We have a lot of activists related to conflict management, but I don’t see a lot of results. I continue to see a lot of conflicts at the moment. The ISIS planted a lot of mines in the trust between the different ethnic and religious groups. If political leaders of our societies are not wise enough, what ISIS planted might erupt one day. I hope I am wrong! Capacity-building project delivered by Rwanga Foundation. We will stay, and we will light candles, because we believe in ourselves. Migrating is not a solution. We need to stay here, face the challenges, and establish our country. What worries you most about the world? What gives you hope? I remember when globalization was beginning, some people were saying that the world will open and conflicts will subside. But some others were saying that the identities are going to close up more on themselves. In fact, both are happening in parallel. It will be depending on the dynamic which one will overcome the other. I see fear, I see threats, and a lot of potential to lead to a lot of conflicts between different groups, not just in Iraq. For the world, I see a lot of tension and radicalization increase. For example, there is a strong potential that Iraq is going to split; in many ways it’s only a matter of time. Fortunately or unfortunately, I will leave this judgement, but if this will be the will of the people of Iraq, let’s make it without bloodshed. Another example is that President Donald J. Trump is trying to keep Americans safe with the ban on immigration for Iraqis. But I’m from this side, and this “exclusionary approach” is exactly what the fundamentalists were trying to tell all the people in the Middle East, and activists like us were trying to convince them “No, this is not the real reality of the West and the American people.” But President Trump came exactly and underlined the message “We don’t want you,” which supported exactly what the fundamentalists say about the West. Conflicts like these are increasing. But what gives me hope is an emerging movement of a common humanity. We need to cross over all narrow belongings, affiliations, religious sects, ethnicity, countries, geography, etc. We need to see each human as a human, and only focus on creating justice and prosperity for every individual. I see this attitude also increasing, and this gives me a lot of hope. I see a lot of this activism from different groups, from Iraq and all over the world, and those people are giving me a lot of hope. I hope that this mentality will win in the end. There was this joke going around: “Guys, the last person who’s migrating from Iraq, switch off the light on the way out.” And I responded, “We will not switch off the light, because we don’t have any electricity!” We will stay, and we will light candles, because we believe in ourselves. Migrating is not a solution. We need to stay here, face the challenges, and establish our country. Images provided by Rwanga Foundation. Learn more about Rwanga Foundation at their website, Facebook, and Twitter. Note: This interview has been condensed for conciseness and clarity. No Replies to "Maintaining a Kurdish Vision"